Mohamed Salah was the target of racial remarks during Liverpool’s 1-1 draw with West Ham at the London Stadium on Monday. 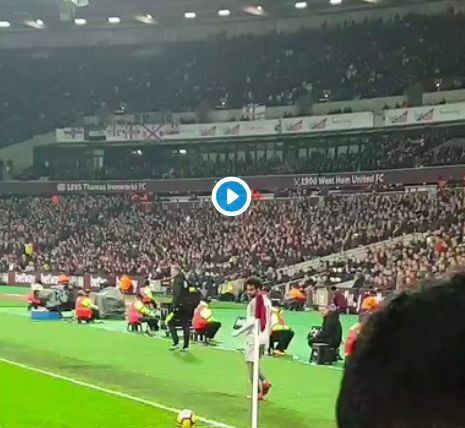 Fan footage captured from among the home supporters has highlighted abusive muslim-related comments being directed at the Liverpool forward as he is preparing to take a corner. The derogatory terms seemingly come from an unidentified individual, who is not seen in the short video. Such disgusting behaviour arrives at a time when racism in football is at the height of conversation on the back of Raheem Sterling’s unpleasant experiences earlier in the season. Besides being extremely hurtful to victims, these actions are also a monumental disservice to the thousands of respectful members of the same fan base. It’s now up to the Football Association and West Ham United to investigate the matter.